At the heart of Project-based Learning is the inquiry process. It is the burning question that ignites the critical thinking component of PBL, which is why formulating the question is a crucial task. Sometimes it is a “rookie mistake” to miss a poorly constructed or an incomplete driving question, but other times, even the most proficient practitioners will fail to recognize a problem with a question until the class is fully immersed in the work. For busy educators, a webinar can be the way to go, and BIE’s Driving Questions Webinar is informative and offers practical ways to help improve your practice that will benefit your students. If you are just starting out, Buck offers a wide array of webinars, lesson plan ranging from PBL in Math to Using Edmodo for PBL, allowing teachers from all content areas to learn at their own pace the strategies associated with Project-Based Learning. Early in my career, I felt that if I were to show students examples or modeled a task for them, that I was somehow cheating them from the experience, and I also assumed that students would just copy what I showed them. However, as I learned more about how students learn, I came to see that the background knowledge required for so many school tasks is missing. Exemplars and models are ways to embed background knowledge that will help them on their own task. For example, I do an extensive Utopia Project as we read The Giver, and many times students have not experienced a project of this scope. Contrary to my earlier thoughts, I’ve found that exposing students to authentic student work like Adrianna B. and Kali and Grace, scaffold my expectations and that they are excited to get started themselves. The same can be said for teachers trying PBL for the first time. Of course you want to put your fingerprint on the project, but it will improve the quality of the experience and final products if you are confident with your choices in the project design. Buck Institute of Education received a grant in 2012 from the William and Flora Hewlett Foundation to create an online university of sorts, and it was so successful that 2.0 was launched in April 2014. Ready to use projects can be found on the PBLU section of the site. The range of projects is impressive, from elementary through high school, and each lesson includes a free, printable: project overview, 8 Essential Elements of PBL, sequence of the project, step-by-step teaching guide, student handouts, and teacher materials. These materials are lesson plan ready and can make the formidable task of planning for PBL more manageable. Just like the other aspects of PBL, there is an intentionality to the planning process that will create the best learning experience for students. The BIE’s Online Project Planner simplifies projects and provides a template that makes sure you’ve thought of everything. I decided to try it out with The Giver project I mentioned before, and here is the printable PBL plan. (I left the standards area blank since there are so many frameworks) I spent about a half hour exploring and trying out the template, but I know that the next time I’m planning a unit this helpful tool will be where I start. It worked as a checklist in a sense. As I filled it out, I jotted down in my planner “reserve library” and “ask about modifications” because the template walked me through the steps I needed to follow for a well-developed project. Twitter, Google+, Instagram, LinkedIn, Pinterest, and an ever-growing social space give educators the opportunity to build a PLN who will help develop their ideas. My PLN on Twitter is the strongest driving force for instructional improvement, and groups like these support educational risk taking. When you open up your “room” to include the entire world, you’ll soon find that there are many like-minded people who are more than willing to share ideas, provide feedback, and simply cheer you along as you try new things. “13 Great Twitter Chats Every Educator Should Check Out” is a nice place to start for those new to the Twittersphere, but the list is by no means exhaustive, and new Twitter chats are popping up all the time. #PBLChat happens every Tuesday 5:00pm PST/8:00 pm EST and takes on all manner of PBL topics. Sometimes educators make things more difficult than they have to be. I’m not pointing fingers because I’ve been there. 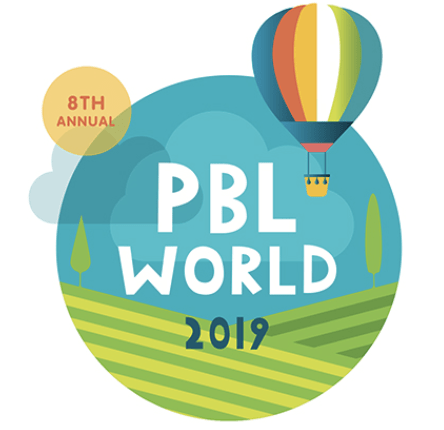 I’ve spent an hour on the internet trying to find a perfect rubric, whereas I could have created one of my own in half the time; better yet, I could have used Buck Institute’s PBL planning tools and guarantee a better learning experience for everyone.